Ever received an email attachment or been required to download a file with the .rar suffix, and wondered how it should be opened How To Open Strange File Types In Windows How To Open Strange File Types In Windows Computers know thousands of different file formats. Sometimes, both you and Windows are clueless as to how to open a strange file. Here is how you can figure out how to open those files. Read More ? You’re not alone. Fortunately, managing ZIP files and other compressed archives is simple and over the years functionality has been integrated into Windows. 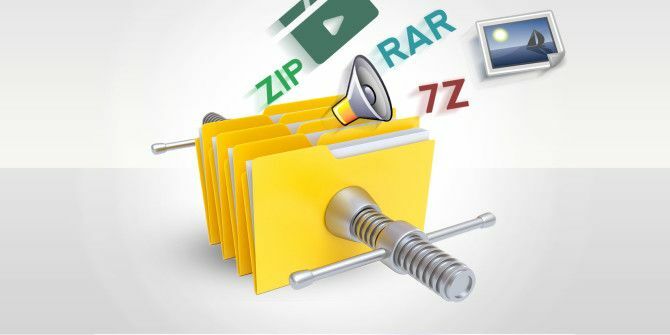 Whether you’re looking for answers about ZIP files, RAR, 7z or other common archive types, the steps for unzipping and extracting the contents are the same. Although ZIP files are probably the most common form of document data compression, several others are in use. You might have seen files with an icon that resembles a pile of books or coloured folders, for instance. This is a RAR file, and for several years RAR and ZIP were considered competitors. Latterly, RAR files became synonymous with filesharing/download services such as eDonkey, which probably damaged the reputation of the compression service. Here it was used to compress entire ISO disc image files. Another compression system is 7-Zip, which came along as a surprising new alternative a couple of years ago and has established itself as a viable and popular alternative to ZIP and RAR. Uncompressing archives is uncomplicated thanks to mature user interfaces and years of development. As such, it should be simple to unzip or extract data from archives, as well as to decide where the data is going to be placed. Windows users don’t need to install any additional software to unzip a ZIP archive. Since Windows ME, the functionality to extract ZIP files has been included in the operating system. If you have a ZIP file you can explore the contents in Windows Explorer – simply double click as you would with any folder to view the “zipped” files. Depending upon the contents of the ZIP file, you may want to unzip, or extract the files within. You can do this by right-clicking the ZIP file and selecting Extract all…, deciding where to unzip the files to. Note that the default location has the same name as the ZIP file, but without the .zip file extension. Windows 8.x users can select the ZIP file and use the contextual Extract tab in Windows Explorer, where you will find an Extract all button. In both cases, the alternative is to extract an individual file or subfolder, which can be done by dragging the item from the ZIP archive to a new folder. Prior to Windows incorporating support for ZIP files, WinZip was a popular choice for installation and it remains an option that you can install on your computer, and is available from www.winzip.com with a free trial. As Windows has its own ZIP tool built into Windows Explorer, this version is really only for anyone who requires more control over the compression and unzipping of files, and the ability to manage other archive types such as RAR files or encrypt data. If you have RAR files on your system then you will be unable to open them with Windows Explorer. Instead, can use the WinRAR utility from www.rarlab.com/download.htm or 7-Zip introduced below. WinRAR offers support for other file formats, including ZIP, 7-Zip (see below), CAB, GZip, TAR and even ISO. You can use the setup screen to toggle which of these is supported within your installed version (this can be changed later), along with determining which items are included in the context menu. 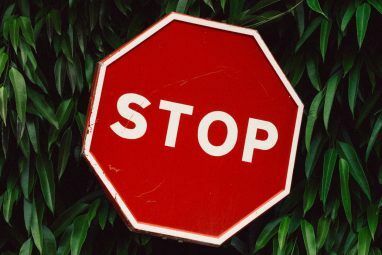 (If this slows down Windows Explorer, you can edit or remove these). Options within the WinRAR app include tools for viewing and finding files, as well as a virus check. Overall, RAR is a more flexible way of compressing data and managing archives Why RAR Is Better Than ZIP & The Best RAR Software Available Why RAR Is Better Than ZIP & The Best RAR Software Available RAR files are smaller, easier to split and easier to recover than ZIP files. These three features mean RAR files are better than ZIP, even though ZIP files are far more common. If you use... Read More , as Justin Pot explained. WinRAR is paid software, and after the trial nag screen will ask you to upgrade to the paid version every time you run the software. To get around this, right-click your RAR files and select one of the Extract options, which automatically unpacks the archive. Of course if you use the software regularly, we suggest you pay the reasonable €29,95 license. Or you could use the next tool. Unlike WinRAR and WinZIP, 7-Zip is free and available from www.7-zip.org (our 7-Zip review 7Zip: A Free Program to Unzip Uncommon Archive Formats 7Zip: A Free Program to Unzip Uncommon Archive Formats Read More ). This isn’t the only reason to like it, however. For Windows users, it is the best universal option, capable of dealing with its proprietary format as well as ZIP, RAR, TAR, Gzip and other files. Unzipping archives using 7-Zip is happily easy. The utility will integrate itself into the context menu in Windows, enabling you to use the options such as Open archive, Extract files…, Extract here, Extract to “[filename]\” by simply right-clicking the archive and selecting 7-Zip, as illustrated. If you don’t need to use RAR files and have plenty of ZIP archives, but occasionally need to open other formats, 7-Zip is probably the best option; it also has a better compression ratio (2-10%) than WinZip. Unlike WinZip and WinRAR, 7-Zip’s additional features, beyond compression and extraction, are limited, but it remains a good choice. PeaZip – a free alternative to WinZip and WinRAR with its own .pea format PeaZip - A Fantastic Free Alternative To WinRAR Or WinZip PeaZip - A Fantastic Free Alternative To WinRAR Or WinZip Read More . Has been somewhat overtaken by 7z, but remains useful. Gzip – usually used by Linux systems, a Windows version is available. TAR – like Gzip, TAR is mostly used on Linux, and again a Windows version can be installed. These methods can be combined, however – it isn’t uncommon to see a filename as .tar.gz. With each of these, the principle concerning compressing and extracting the data remains the same. If you can extract data from a ZIP, RAR or 7z file, you should be able to do the same with a .pea, .tar or .gzip archive with no trouble. Of course, you probably wouldn’t be able to do much in Windows with uncompressed TAR or GZIP archives unless it was something like a MySQL database. While we’re talking about other platforms, Mac OS X users can adopt Unarchiver Unzip Any Archive Using The Unarchiver [Mac] Unzip Any Archive Using The Unarchiver [Mac] Quickly extract practically any compressed file on the planet. If you're a Mac user, and Apple's default unzip tool is struggling to open an archived file, it's time to install the ultimate tool for the... Read More , a universal archive extractor that can handle ZIP, 7z, TAR, CAB, even EXE, MSI and BIN (all of which are archives used for installing or running programs.). Comic book viewing apps use the CBZ and CBR formats. These are just renamed ZIP and RAR files, collections of images compressed using either application. You should be able to open a CBZ or CBR file using the corresponding software. CBZ files can be opened with WinZip, and CBR files with WinRAR. If you have trouble with this, select the file and rename the file extension to .zip or .rar first, then try again. As you might have guessed, the ease with which this can be done means that you can make your own comic book reader files. You can find more about this in our guide to creating comic book and graphic novel files Create CBR/CBZ Files To Distribute Your Comic Strip Or Graphic Novel Create CBR/CBZ Files To Distribute Your Comic Strip Or Graphic Novel The Internet has been kind to comic book creators (although piracy has inflicted a big dent in the profits of the major publishers) and web comics and sequential art tales created specifically for an online... Read More . Extracting ZIP Archives Is Easy! You’ve probably got a few ZIP, RAR or 7z archives on your computer. Even if you have compressed folders created by another app, as long as you have the right tool to uncompress them, you should have no problem. What is your favorite tool for compressing and extracting archives? Have you run into problems with any of the tools mentioned in this post? Let us know – leave your thoughts in the comments box. Now you can also extract RAR files on Android The Best RAR File Extractor for Android The Best RAR File Extractor for Android Need a RAR file extractor for Android? Here are the best apps for working with RAR archives on your Android device, and they're free. Read More . Explore more about: File Compression, . Surely just looking in the folder where you put the compressed file and checking its file size would tell you that??? i'm trying to unpact a nexus factory image file. when i unpack the files some look like this recovery.img with a file type of disc image file. they should look like this, recovery with a file type of image what am i doing wrong? i'v tried 3 different times using different extraction tools and i get the same thing. where does the problem lay? It supports many formats: ZIP, 7ZIP, GZIP, TAR, ISO etc. I'm nor sure about RAR because I use only ZIP archives. Also it works pretty quick. @Justin Pot. Thanks for the information about .ODT files. I was very fond of IZArc until it started putting crapware in its installers. 7Zip is pretty good, but more programs need to start supporting .7z files. Here's another type of file most people don't realize is actually a ZIP: Open Office documents (.ODT). Rename the document to .ZIP and you can find all the embedded images organized neatly in a folder.